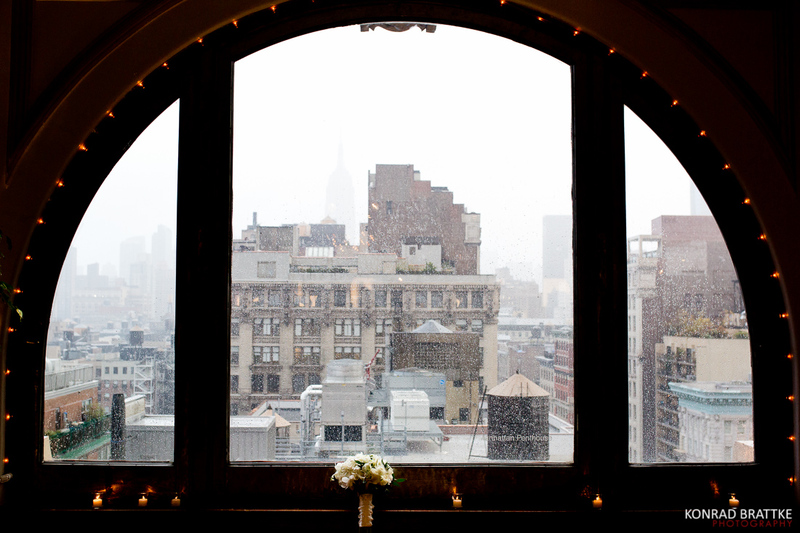 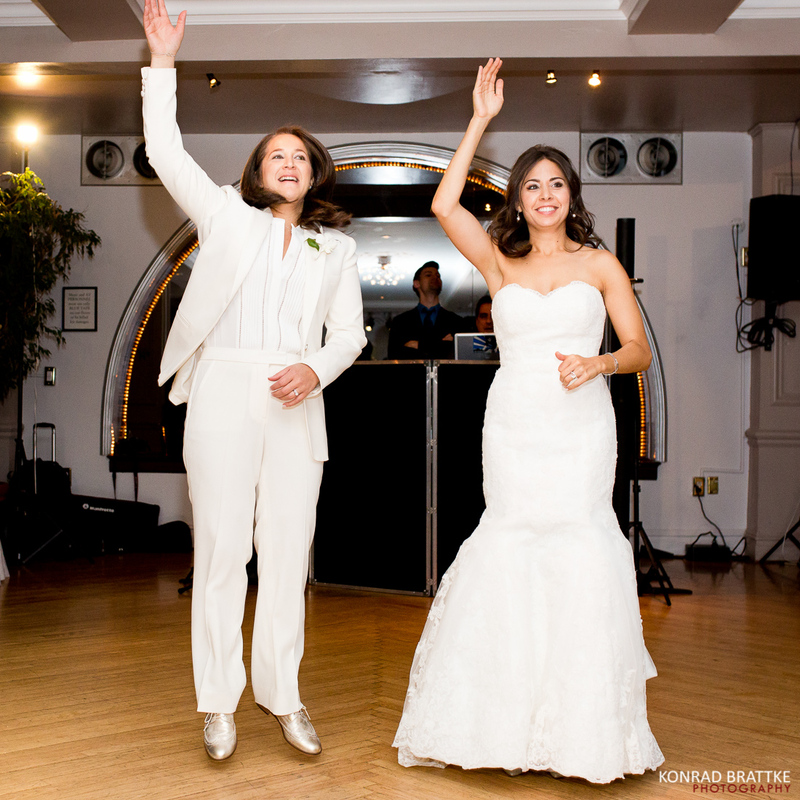 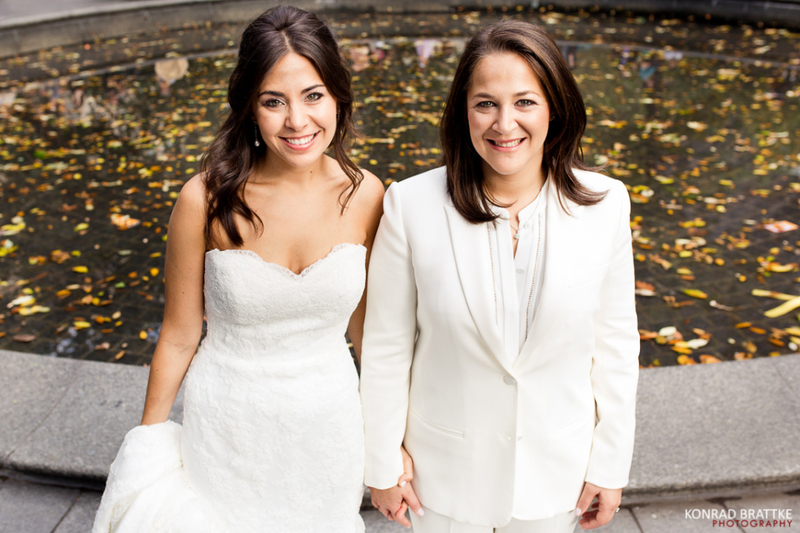 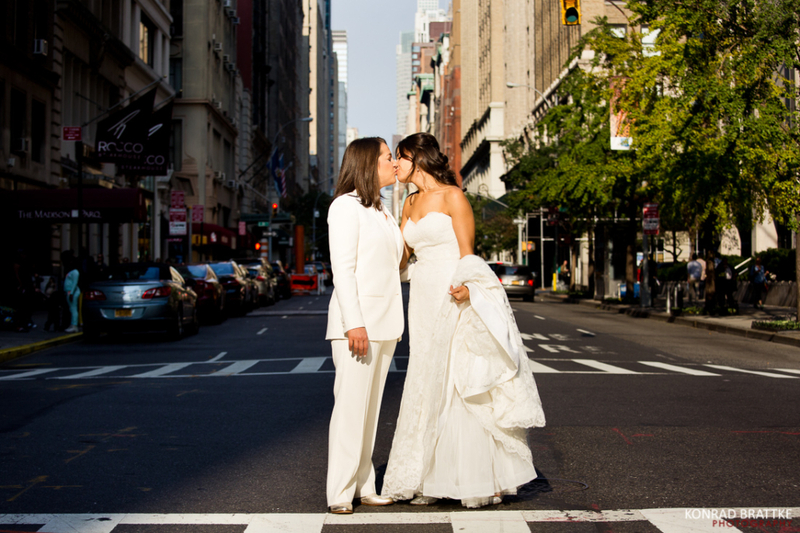 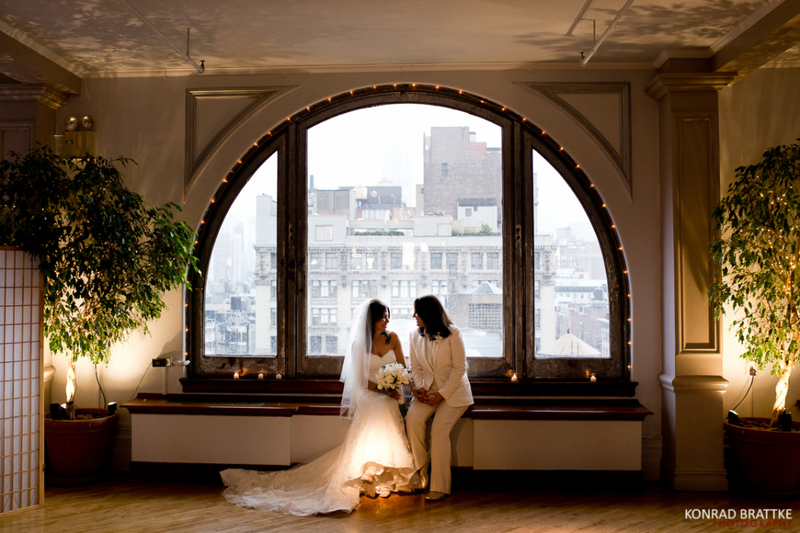 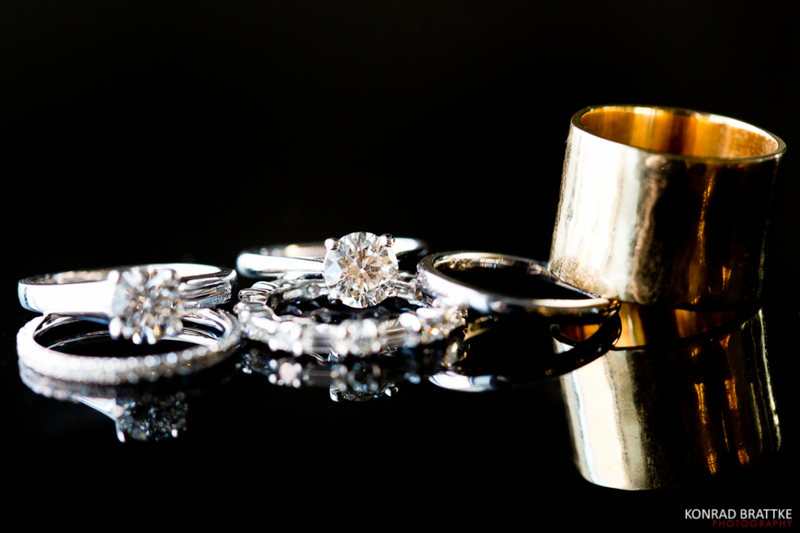 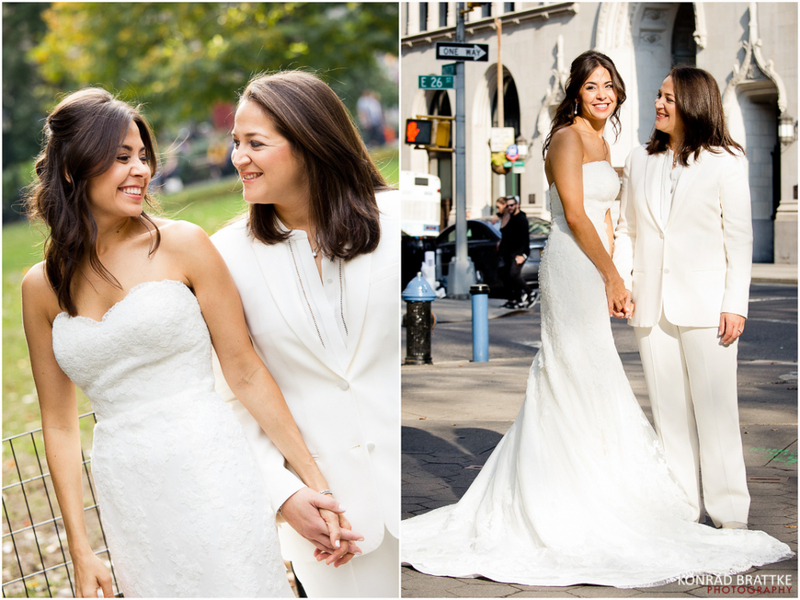 Erica and Jill’s Manhattan Penthouse wedding was a New York real estate dream! 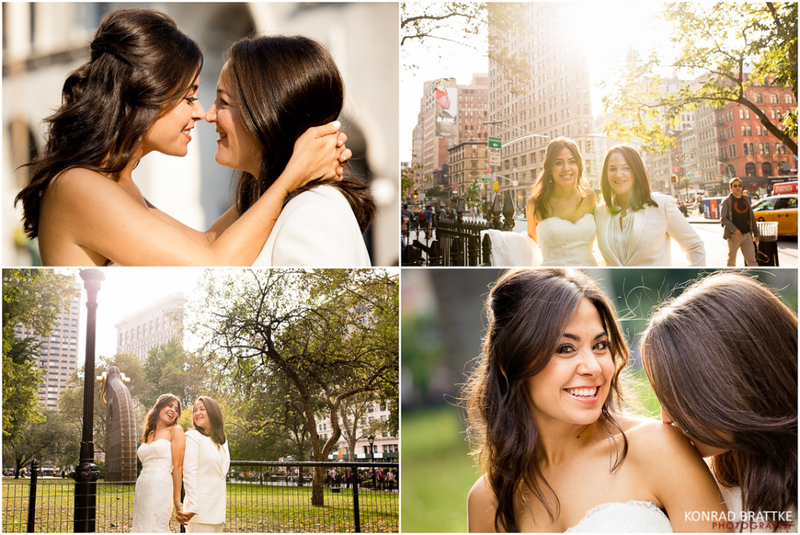 Erica and Jill asked me to photograph their engagement session a few months prior to their big day. 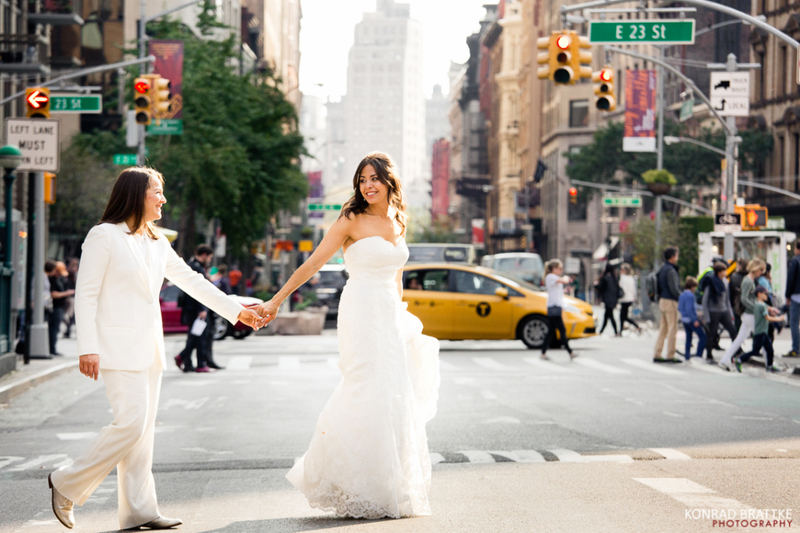 We shot their engagement session in the cobble stoned streets of DUMBO and ended the evening toasting over margaritas! 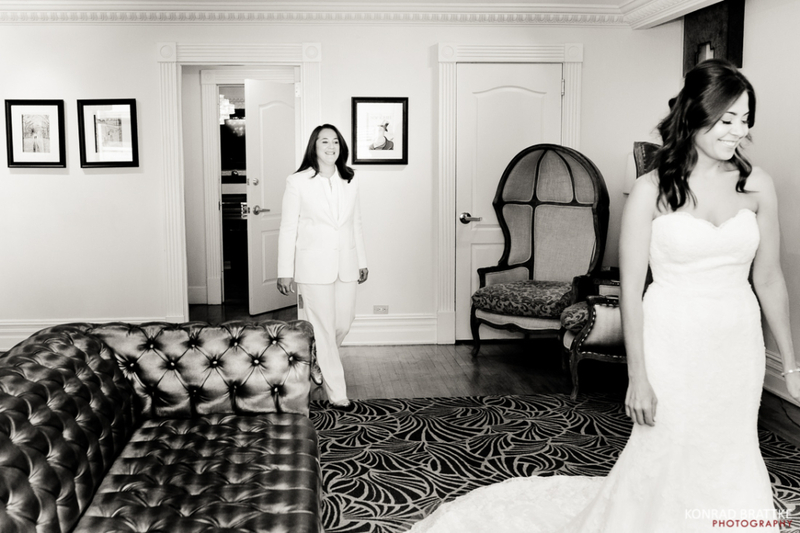 So we had all gotten to know each other pretty well by the time I arrived the morning of their wedding day this past October. 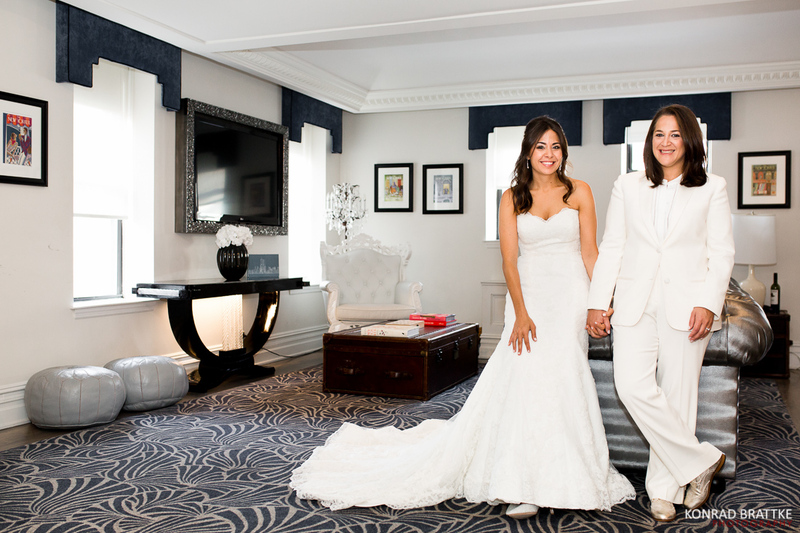 The beautiful couple got ready together – but in adjacent rooms – to ensure that they would not see each other as they got dressed. 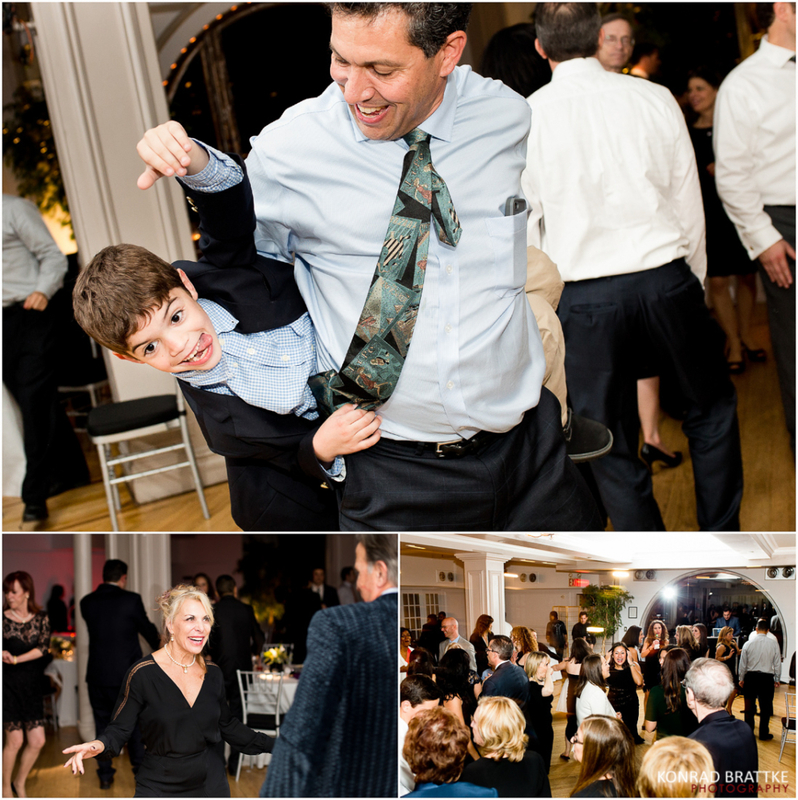 There were definitely a few moments of peek-a-boo hiding that made for a fun laugh or two in the process. 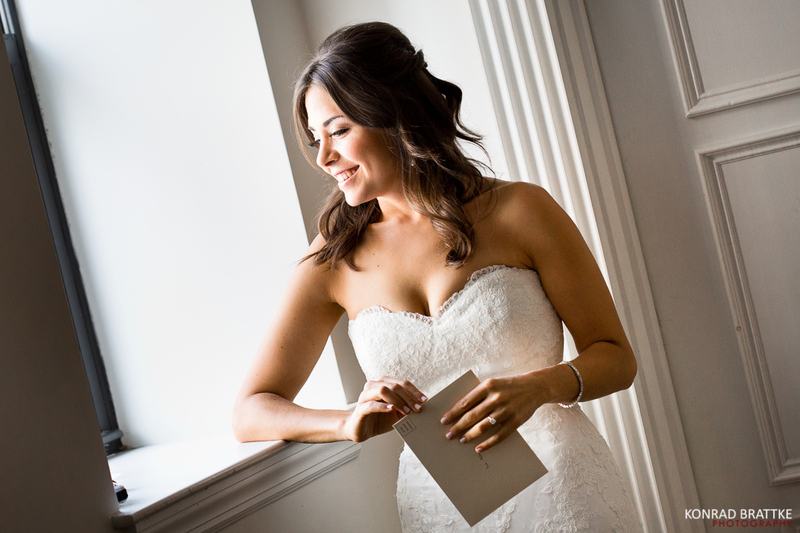 Erica wore a white, lace, bridal gown with a flattering sweetheart neckline and Badgley Mishka pumps. 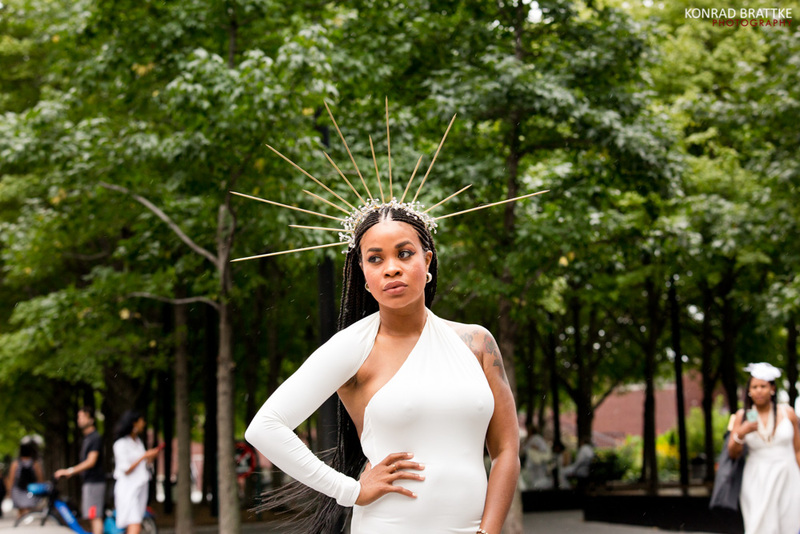 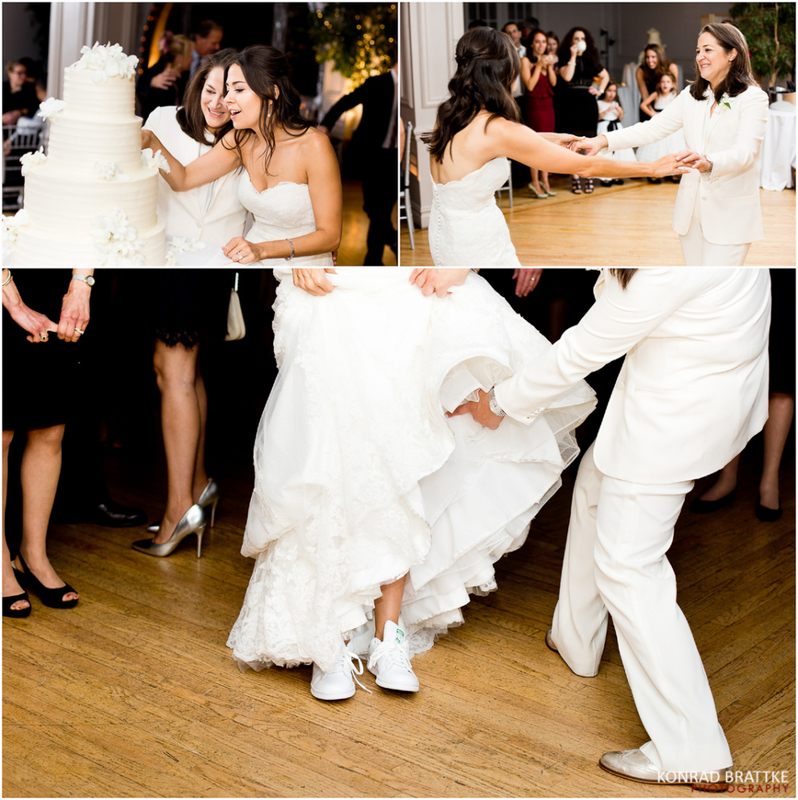 Jill donned a tailored, white pants suit and metallic oxford lace-up shoes. 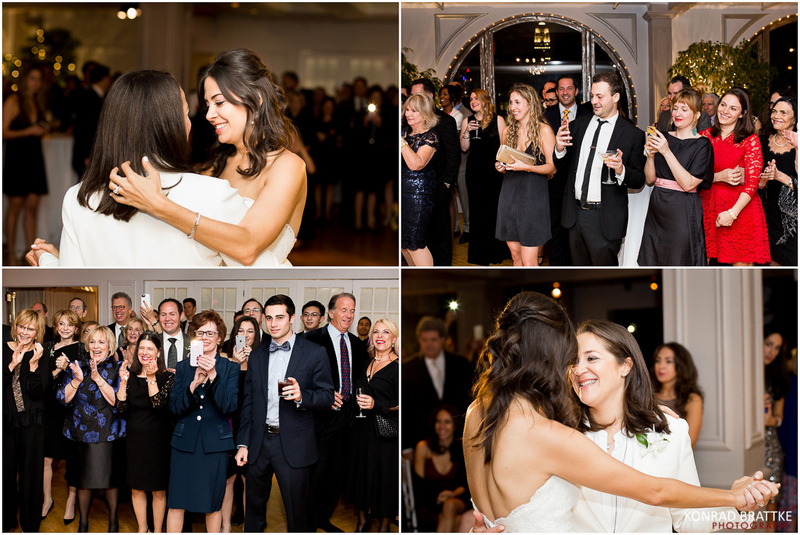 Their #FirstLook was filled with happy tears and flowing champagne. 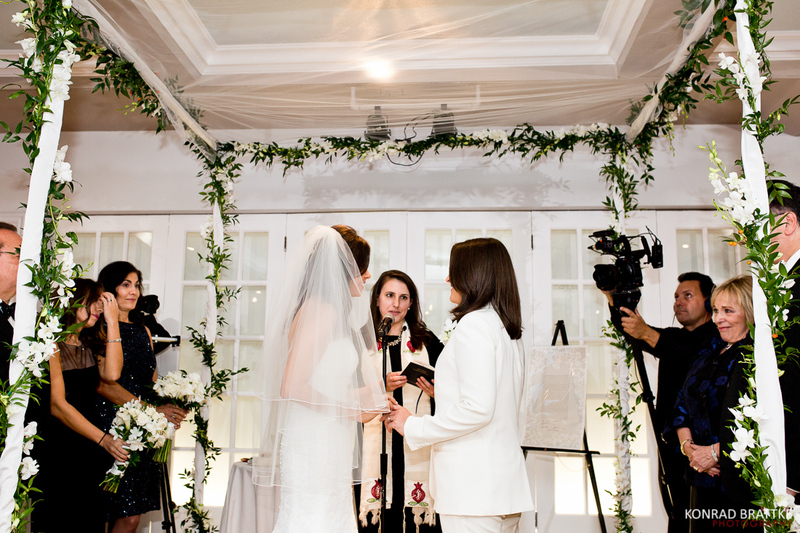 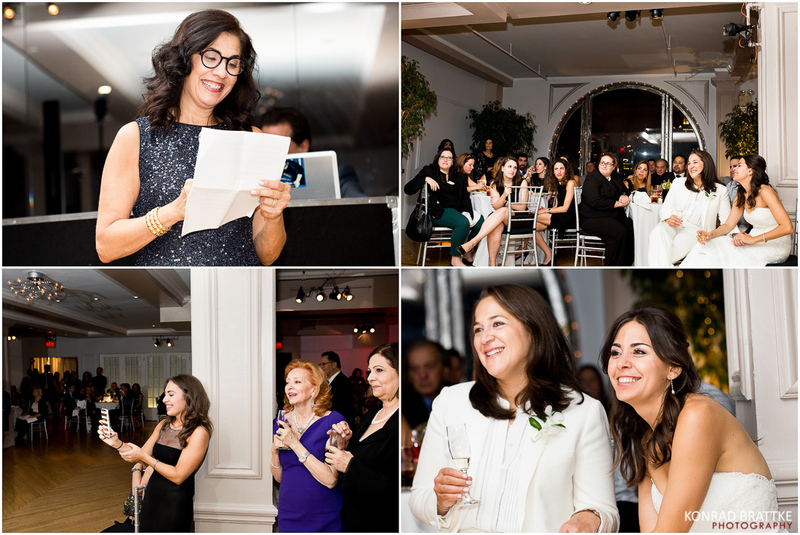 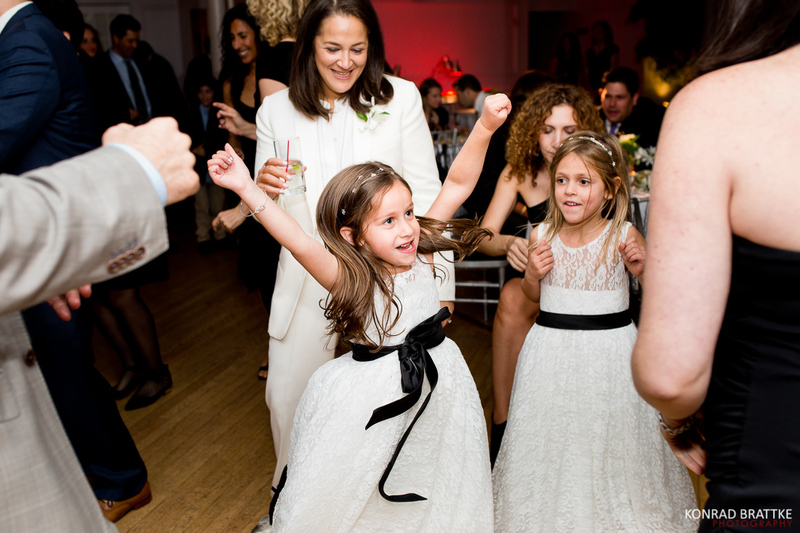 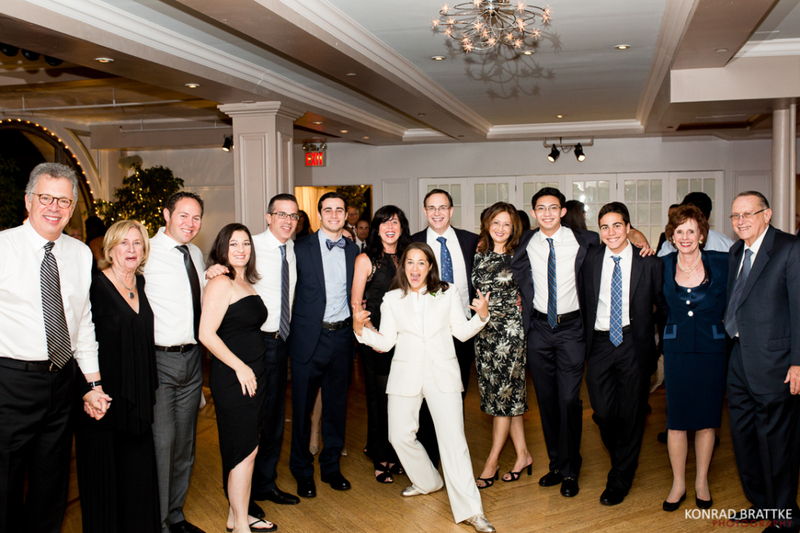 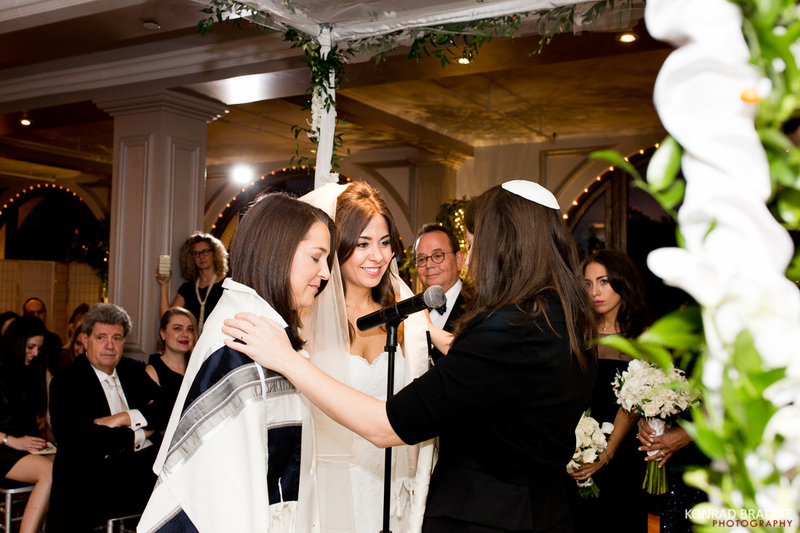 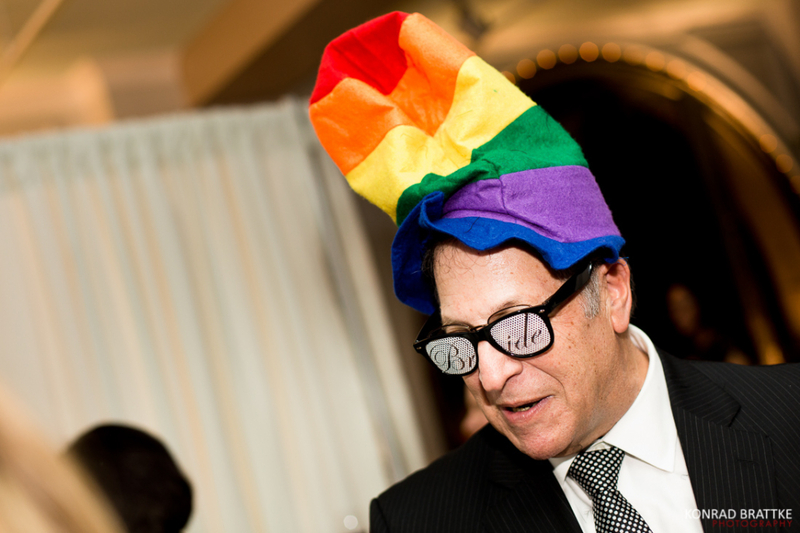 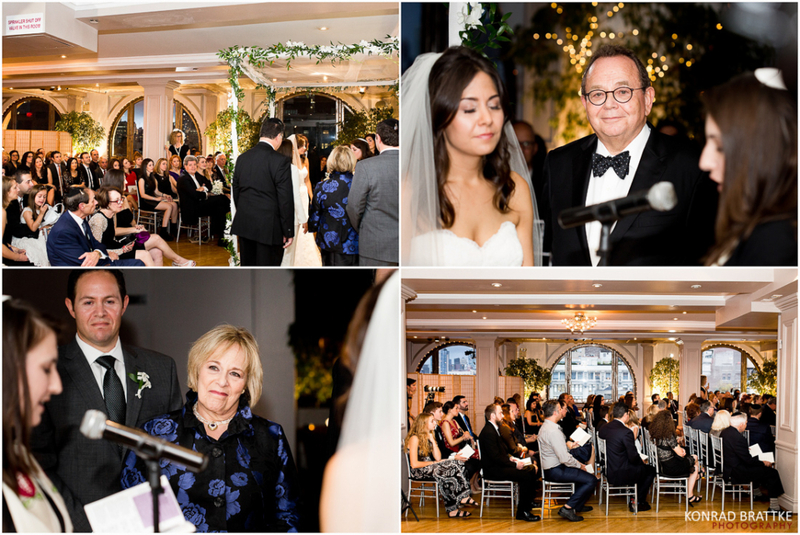 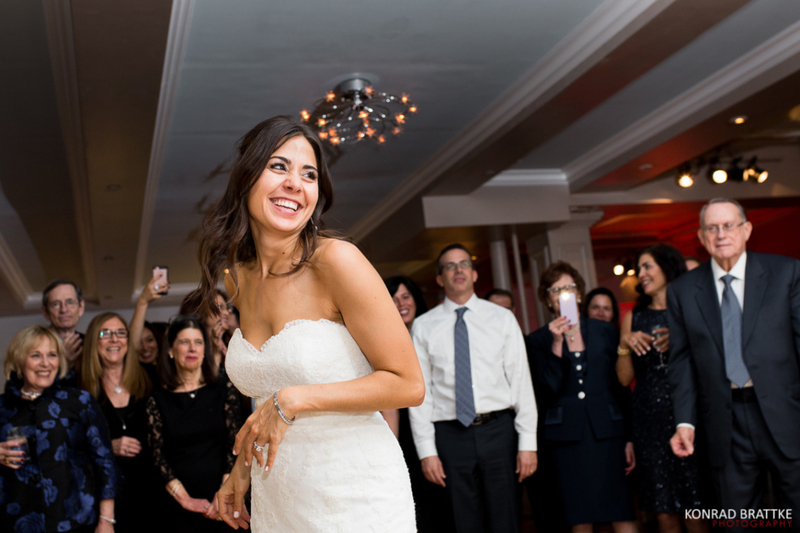 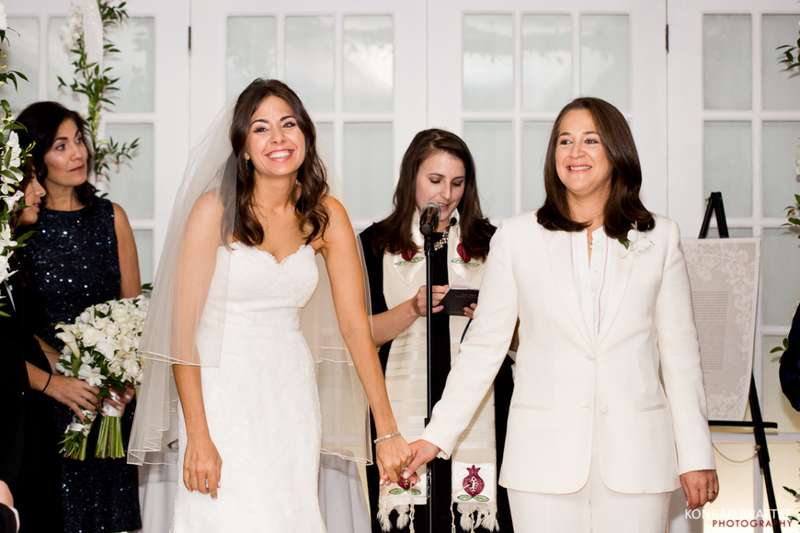 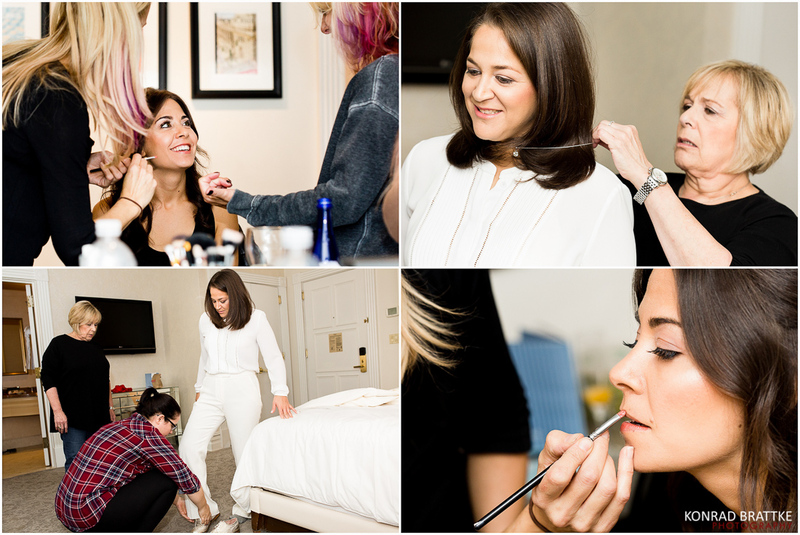 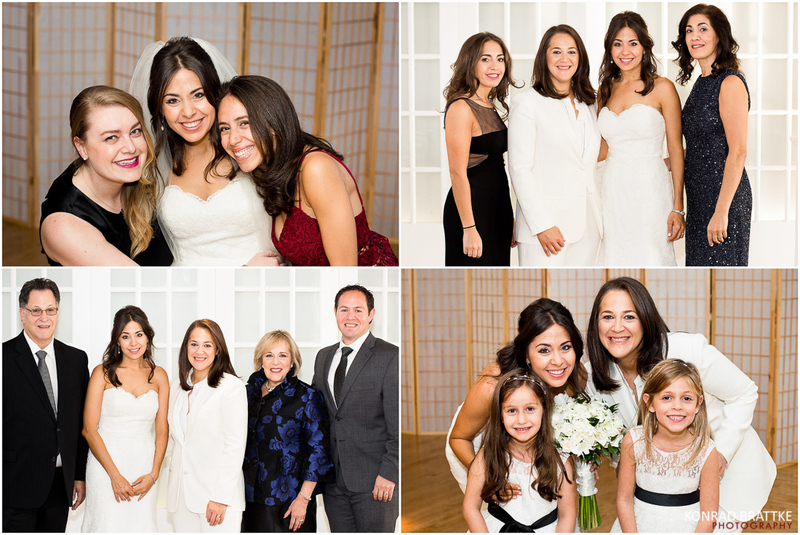 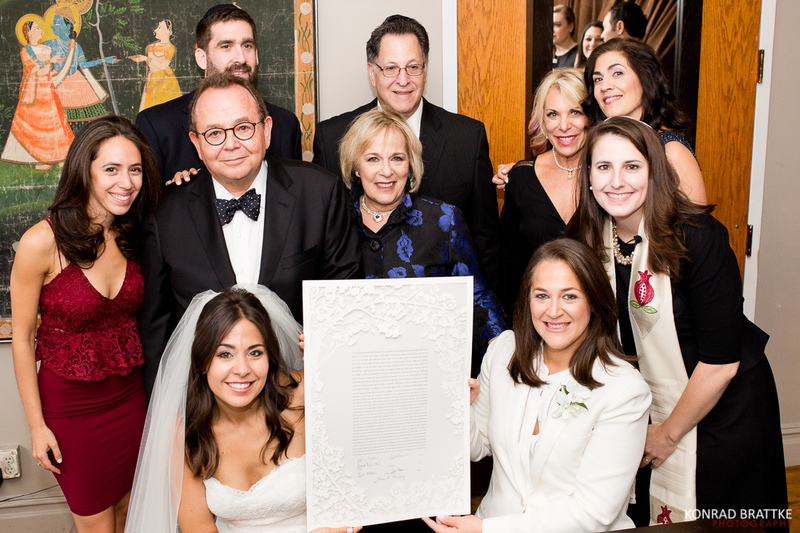 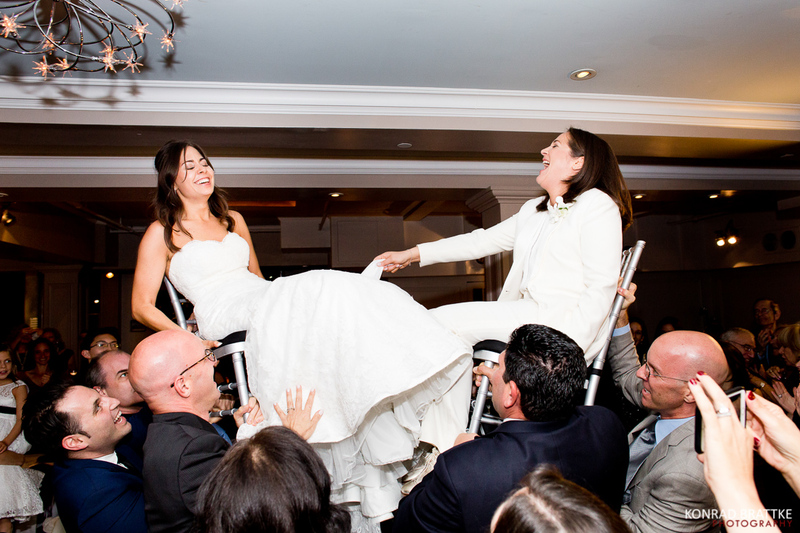 Once the ladies were ready, we headed over to the gorgeous Manhattan Penthouse to kick off the ketubah signing, followed by a traditional Jewish wedding ceremony. 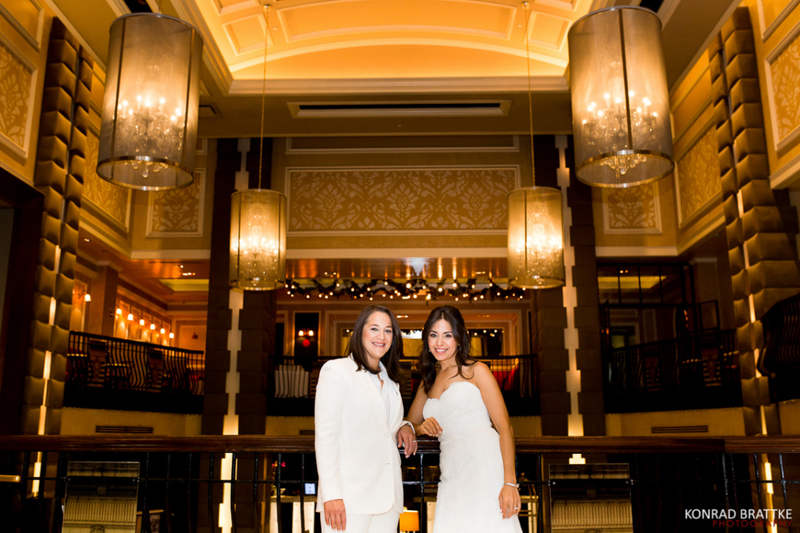 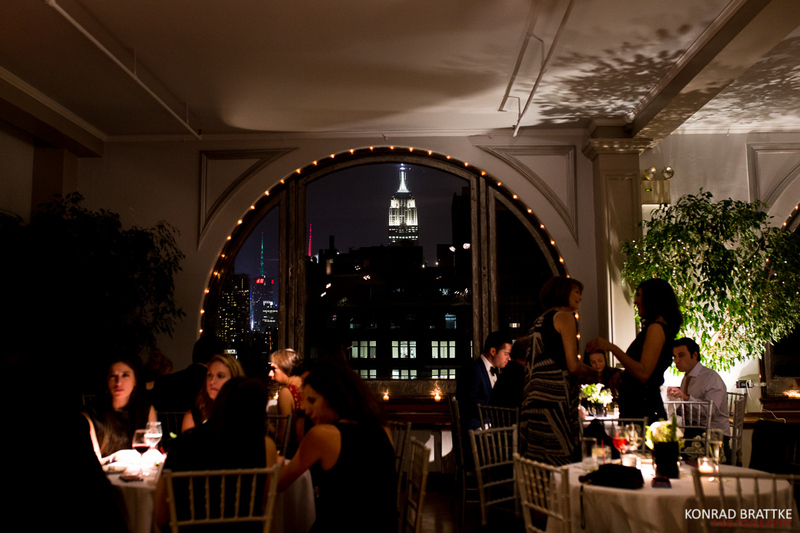 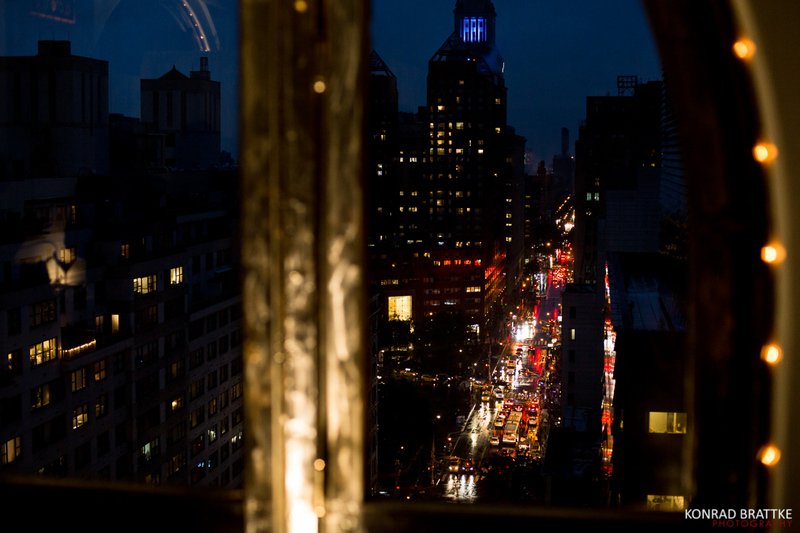 Guests seemed to enjoy the reception’s classic New York setting as they danced late into the fall evening. 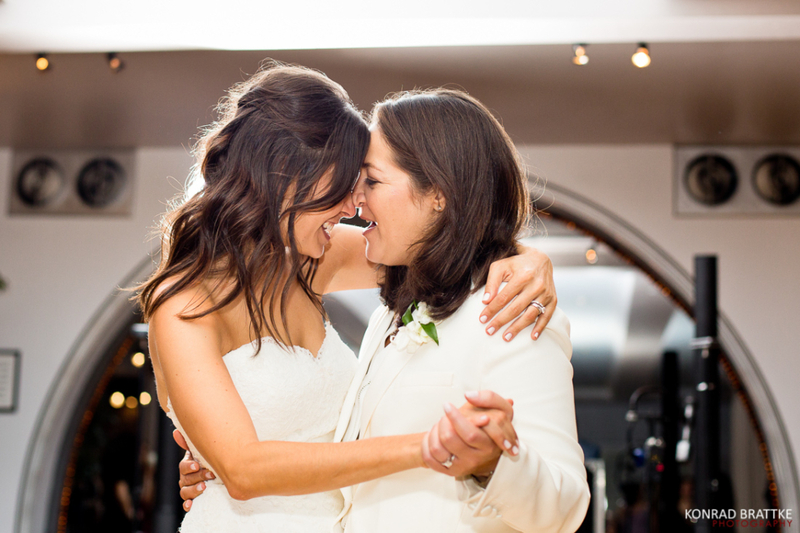 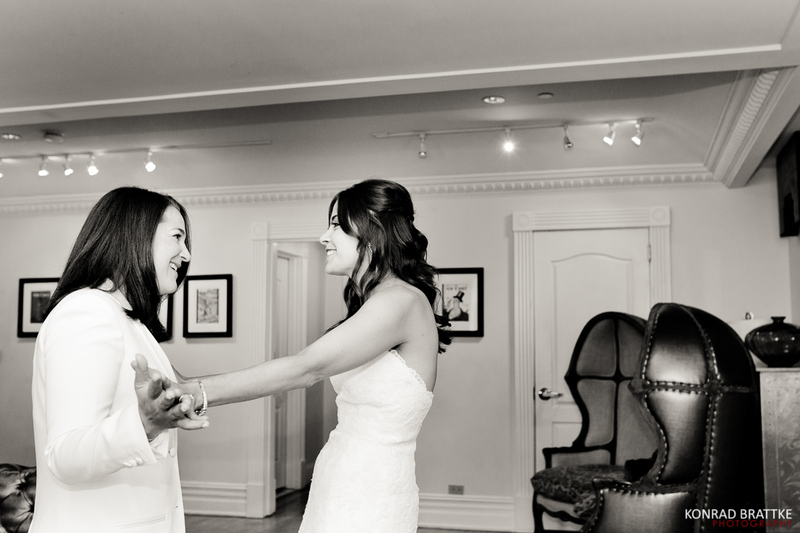 My favorite part of the night was Erica and Jill’s #firstdance. 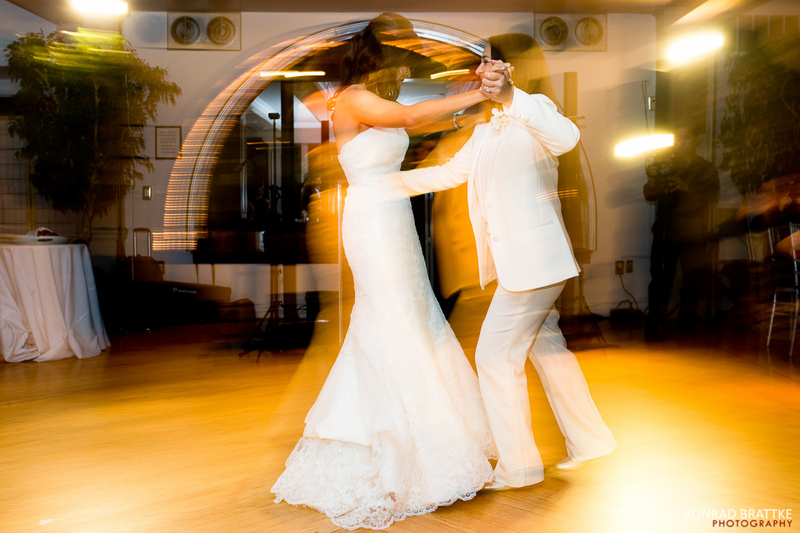 The newlywed couple surprised guests when they flipped the script in the middle of their romantic slow-dance and busted into a wild & crazy dance routine!